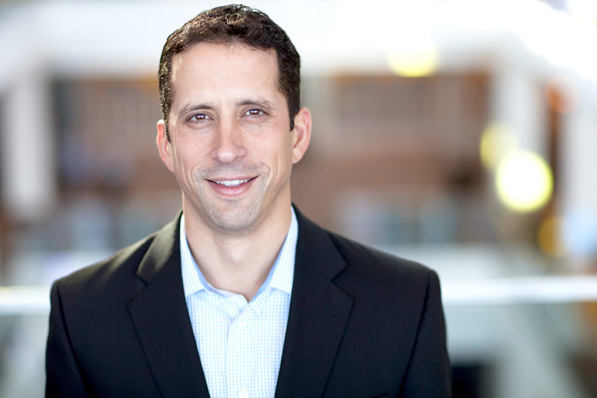 Ricardo Fernandez is VP of marketing for Cereal Partners Worldwide, a joint venture between General Mills and Nestle. Fernandez has crisscrossed the globe with General Mills, asking the right questions, to effectively market the company's staple brands and even acquire new ones. Ricardo Fernandez’s successful track record with General Mills brings him to Switzerland, where he is currently vice president of marketing for Cereal Partners Worldwide (CPW). Fernandez started his career in finance, but as much as he enjoyed analytics, he was much more interested in having a hand in developing products from beginning to end. After a chance encounter with General Mills while at business school, Fernandez obtained an internship with the nearly 150-year-old company, primarily known for its nostalgia-inducing breakfast cereals. He went on to market the beloved company’s staple brands and even acquire new ones in Latin America, South Africa, and Europe. After fifteen years of crisscrossing the globe, Fernandez is leading the marketing strategy for CPW, a joint venture between General Mills and Nestlé. The VP talks to HE about his global leadership and the importance of asking questions. HE: You’ve been with General Mills for 15 years and have held multiple roles spanning the globe. Looking back at your career, what assignment or role prepared you for your current leadership position? RF: It wasn’t just one assignment or role. It was the combination of 11 years of marketing experience in our US business combined with four years working in General Mills’ Latin American division. I learned how to market across multiple business and brand situations. Each of these roles helped me build and adapt leadership skills to be more effective for the cross-cultural experience that I am now living both personally and professionally. HE: Is leadership something that comes naturally to you, or is it something you’ve had to learn along the way? RF: There are aspects of it that come naturally to me. I love helping people develop. I enjoy motivating my teams. Even the things we’re good at, though, naturally need improvement. At General Mills, there is a philosophy around creating a culture of coaching and development—the company understands that the more you’re exposed to great leadership and leadership opportunities, the more you’ll develop that skill set. Leading my own teams, I have had to learn how to lead with greater confidence. I now know how to make the most of my natural skillset and to learn as much as I can when given new opportunities. General Mills is great at facilitating those experiences. HE: You’ve gained a global perspective while working with General Mills. What are the most important lessons you’ve learned? RF: Talking to consumers is key. Again, you can’t go into an international role and assume you know how people eat or the relationships they have with food. Observing is not enough. Assuming is not enough. We all have cultural assumptions, and when you’re doing this kind of work, you need to rid yourself of them. Asking questions is the only way to develop a deeper understanding. HE: What have you come to understand by asking these questions? RF: There are basic human truths across cultures that too often get attributed to one group. For example, how often have we heard, “Hispanics really care about taking care of their families”? That is a human truth across cultures. Who doesn’t want to take care of their family? When you’re entering a culture that isn’t yours and that you’re not familiar with, it’s easy to make assumptions. Learning to ask better questions rather than assume is the only way to improve your marketing strategy. What better way to learn than from the people who know? You have to adjust based on the culture and consumer you’re marketing to, but for all of our differences, there are so many commonalities. HE: Having worked in Latin America, South Africa, and now Switzerland, how do you navigate those differences and commonalities from a marketing standpoint? RF: Food is emotional. We all know this. It brings people together. It is important to take the time to understand the food traditions of the culture you’re marketing to. That means eating like the locals. It means asking questions. It means doing the work to figure out how to make a product that appeals to consumers, one that solves an existing need. You can always bring it back to that: What does the culture need or want, and how do we solve that need? HE: What has been your toughest assignment? RF: Definitely being the marketing manager for Cheerios. It’s a key brand for the company that has existed for many decades. It was so challenging because so many key leaders at General Mills have touched the brand at one point or another in their time at the company. It was very intimidating to think about those who held the role previously and the wonderful things they did. So, I knew I had to lead with conviction, be creative, and to try new things. Something that really helped was understanding that the people who put me in the role wouldn’t have done so unless they believed I could do it. HE: Tell us about a career milestone you’re particularly proud of. RF: That would have to be the fact that I contributed to General Mills’ growth internationally. My experience in Latin America was wonderful for a lot of reasons, but during my time in Brazil, I assisted with the acquisition of Yoki Alimentos, a Brazilian packaged foods brand that really changed our business model in that region. This was in 2012, and prior to that time, we didn’t have the portfolio of products needed to be most successful in the area. The acquisition changed our trajectory, making it possible to significantly grow our presence in Latin America. HE: What are some of your goals in your VP role in Switzerland? RF: I just want to win. I’m new in this role. Our products are amazing; we’re offering great solutions to consumers. I want to hit the ground running. I want to make sure we keep on growing and winning.